With strong family values, Amcanu took the opportunity to invite past employees, many of whom travelled the length and breadth of the country to join the celebrations. The factory floor was cleared, the buffet was laid and Amcanu’s finest products were proudly on display. First generation MD, Spencer Davies OBE, welcomed everyone and gave thanks for the remarkable support and loyalty that he’d received over the years. Spencer took the opportunity to handover son Owain Davies – now second generation MD, who gave a short heartfelt speech. 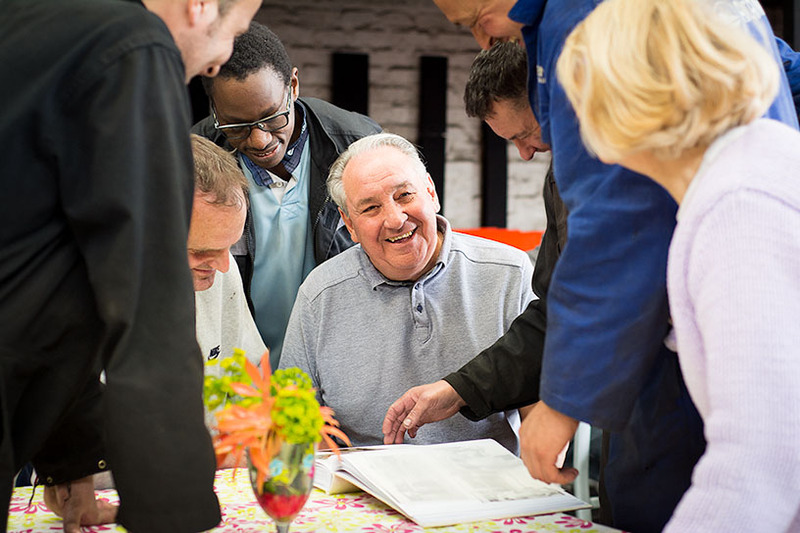 After the opportunity to catch up with old friends and reminisce with a photo album packed full of memories – past employees were given a guided tour of the factory, where the two generations of MDs proudly showed the old workforce how far the company had come along. 40 years is a significant milestone and Amcanu are pleased to have been able to share their gratitude with old friends, while looking forward to the next phase of development with the team that makes them what they are today. It was a proud day – Happy Birthday Amcanu.